A U.S. appeals court has decided that humans trump animals when it comes to who — or what — owns the copyright on original artwork created by animals. The 9th U.S. Circuit Court of Appeals ruled Monday that copyright infringement can only be claimed on behalf of humans and that U.S. copyright law does not allow lawsuits that seek to give animals the rights to photographs or other original work. 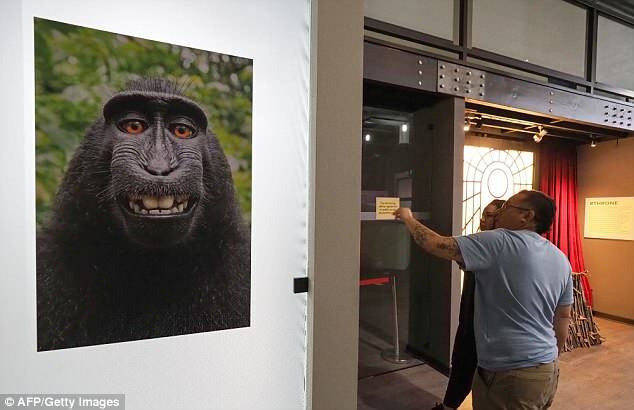 The decision was based on a novel copyright lawsuit filed by People for the Ethical Treatment of Animals, over a series of entertaining selfies taken by a monkey with a toothy grin. 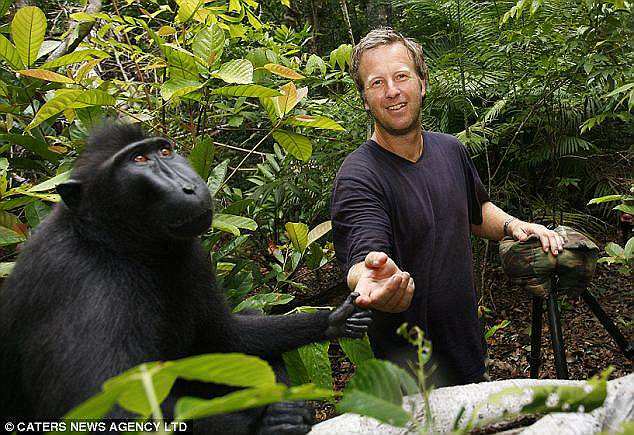 The unanimous, three-judge panel upheld a lower court ruling that dismissed the lawsuit by PETA against a photographer, David Slater, whose camera was used by a crested macaque to take the photos in 2011. 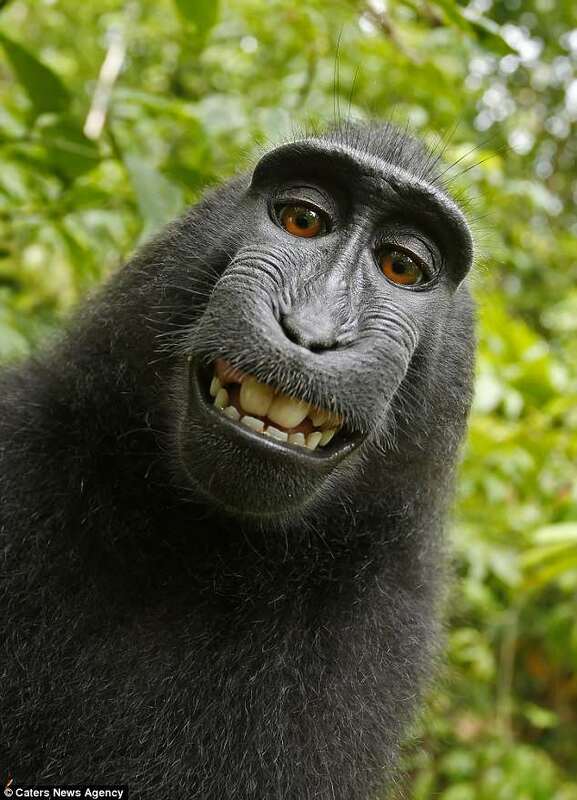 PETA's 2015 suit against Slater sought financial control of the photographs — including a now-famous selfie of the monkey grinning — for the benefit of the animal named Naruto. 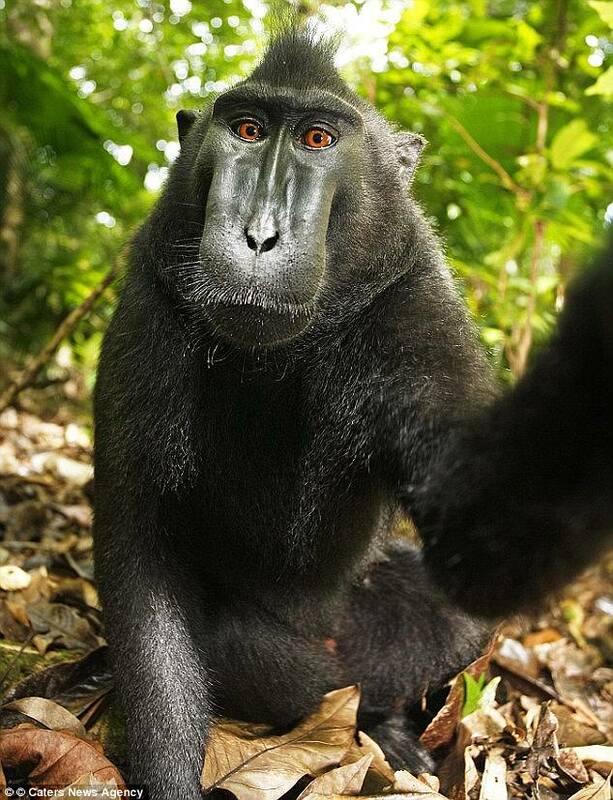 The monkey's smiling selfie, which was shot during a trip Slater took to Indonesia, made headlines and is currently being featured in a Museum of Selfies exhibit in Glendale, California. Jeff Kerr, general counsel for PETA, said the group was reviewing the opinion and had not decided yet whether it would appeal. 'Naruto should be considered the author and copyright owner, and he shouldn't be treated any differently from any other creator simply because he happens to not be human,' Kerr said. The problem for Naruto, however, was that copyright law did not 'expressly authorize animals to file copyright infringement suits,' Ninth Circuit Judge Carlos Bea said in the ruling. The judge said the law reserved that power only for humans. The court ruled that Slater was entitled to attorneys' fees in the case and sent it back to the district court to determine the amount. Slater, who lives in the United Kingdom, said the attorneys' fees were welcome after the case took a toll financially and emotionally and at one point had him contemplating taking up dog walking or tennis coaching to make money. 'I was making no money from photography, which is a difficult industry to begin with,' Slater, 53, said. The PETA lawsuit is not the only time in recent years that activists have sought to extend human rights to animals. Steven Wise, an attorney for the group, Nonhuman Rights Project, has argued in state courts that elephants and chimpanzees should have the same legal rights as people. An appeals court in New York last year rejected the chimpanzee case, saying there was no legal precedent for the animals being considered people, and their cognitive capabilities didn't mean they could be held legally accountable for their actions. In a separate opinion in the selfie case, 9th Circuit Judge N. Randy Smith called PETA's lawsuit 'frivolous' and said he would not have ruled on the merits of the copyright claim, but instead would have dismissed the case on other grounds. Naruto snapped the photos while Slater was on a trip to Sulawesi, Indonesia. 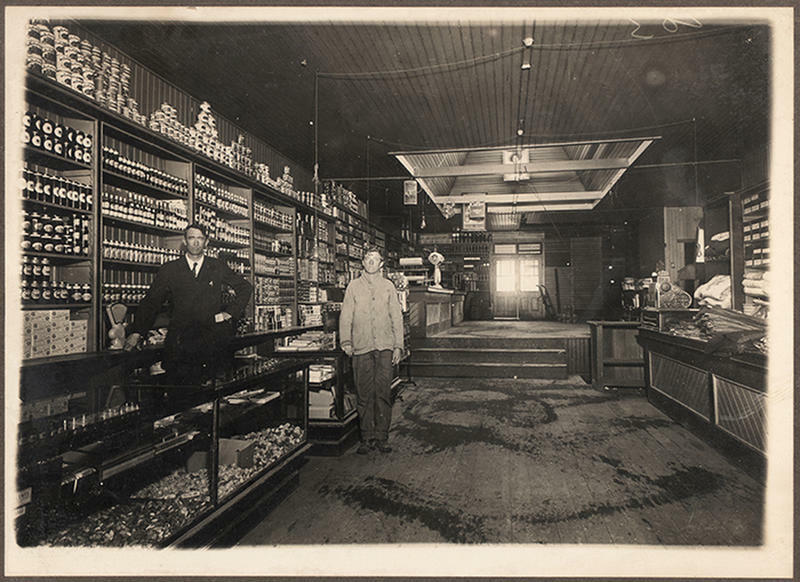 Slater later argued that his company, Wildlife Personalities Ltd., owned worldwide commercial rights to the photos. PETA appealed that ruling to the 9th Circuit. Following oral arguments, Slater and PETA announced in September that they had reached a settlement under which Slater agreed to donate 25 percent of any future revenue from the images to charities dedicated to protecting crested macaques in Indonesia. Lawyers then asked the 9th Circuit to dismiss the case and throw out Orrick's decision. But the appeals court refused, saying a decision in this 'developing area of the law' would help guide lower courts and considerable public resources had been spent on the case. Kerr said Monday the 9th Circuit ruling would not affect the settlement.